The chocolate aisle at the store features an abundance of choices. Between dark cooking chocolate, bittersweet, semi-sweet, melting chips, and chocolate chips, it’s often beyond overwhelming. If you’re wondering what the differences are between all the options, read on! We have the answers that will take the guesswork out of shopping for chocolate for your next decadent recipe. 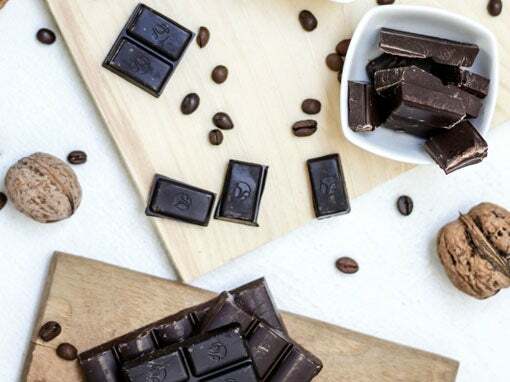 Two things vary when it comes to the different types of chocolate, one is the quality and simplicity of ingredients, the second is percentage of cacao found in the chocolate. Whether you’re going to eat chocolate right out of the wrapper or use it to cook a show-stopping cake for a fancy dinner, quality matters. Bad chocolate is, well, bad, whereas good chocolate is an experience to be savored. How do you know chocolate is good? You read the label. 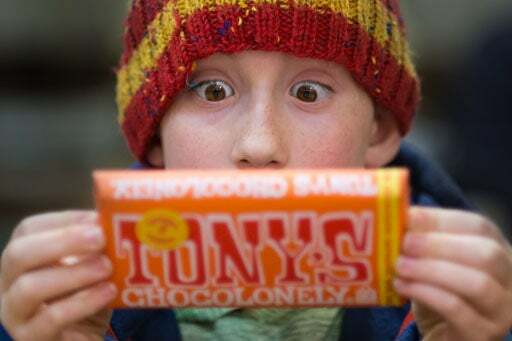 In good chocolate, the first ingredient listed on the label is always cocoa or cacao. The second, and sometimes only other, ingredient is sugar. Chocolate with a lower cacao percentage also includes cocoa butter and lecithin to give the chocolate a nice, smooth texture. To spot a "bad" bar of chocolate, look for ingredients like non-cocoa butter fats, vegetable oil, artificial sweeteners and milk substitutes. These ingredients are used as cheap fillers to make the chocolate less expensive, but sadly, it also makes it less tasty. Once you've identified "good" chocolate, you need to look at the type to determine whether it’s ideal for your needs. Unsweetened Chocolate (sometimes known as baking chocolate) contains 100% cacao and 0% sugar. It’s held together by cocoa butter. Most people find unsweetened chocolate too bitter to eat as is, but it is often used in baking. Cocoa Powder also contains 100% cacao and 0% sugar, but is missing the cocoa butter to keep it together. Cocoa powder is only used in baking and should not be confused with hot chocolate mix, unless you enjoy really bitter beverages. 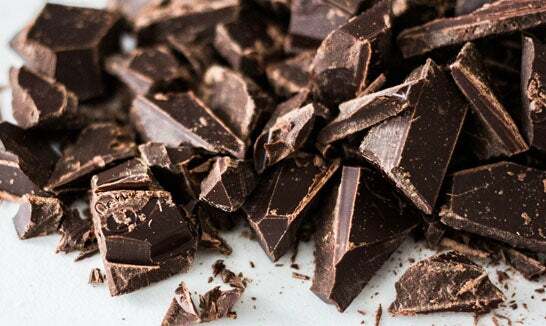 Dark Chocolate is chocolate that contains over 70% cacao. Not all 70% chocolates will have the same flavors or bitterness since the provenance of the cacao bean can radically alter the flavor, but all will contain the same amount of cacao to sugar ratio. Bittersweet Chocolate is chocolate that contains around 70% cacao and 30% sugar. Nowadays this chocolate is more often used in baking than the traditional unsweetened chocolate. In Europe, bittersweet chocolate is simply known as dark chocolate. Semi-sweet Chocolate contains around 60% cacao and 40% sugar. This great all-purpose chocolate can be eaten, used in baking, or even melted for decorating pastries. Milk chocolate is chocolate that contains only 10 – 40% cacao mixed with sugar and milk solids. Occasionally vanilla is added extra flavor and lecithin for smoothness. White chocolate contains no cacao at all and is simply made up of cocoa butter and sugar and occasionally a little vanilla for flavor. Chocolate purists don’t consider white chocolate to even be chocolate. Now that you’ve decided how dark you want your chocolate to be, you still need to choose between bars, chips, or melting wafers. Again, this comes down to preference. Chocolate bars are nice and versatile. They melt well and if broken up into chunks work beautifully as chocolate chips. In fact, in countries where it might be hard to find chocolate chips, most bakers simply use chopped chocolate bars. Chocolate chips are often treated with stabilizers to help them retain their shape when baking, meaning they aren’t ideal for melting. 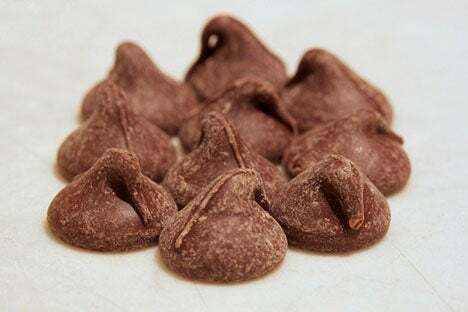 Higher quality chocolate chips like those made by Guittard or Ghirardelli contain fewer stabilizers and can be used if a recipe calls for melted chocolate. Chocolate wafers look like large chocolate chips and are specially formulated for easy melting. These are ideal for covering fruit or anything else. They’re also a great base if you’ve decided to try your hand at making your own chocolate truffles.